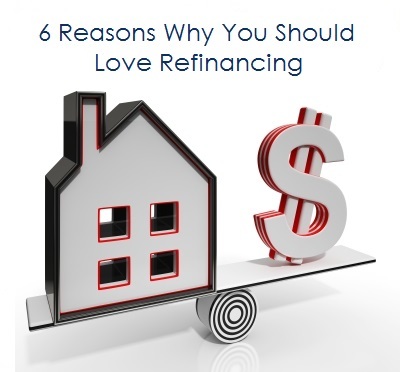 Are you contemplating refinancing but you’re not sure whether it is the right move for you? Advantage 1: Home Loan Refinancing Could Reduce Your Monthly Repayments. Refinancing may give you a chance to make use of the lower interest rates on offer. By refinancing, you could secure reduced repayments. This could occur when the loan has a lower fixed rate or lower variable rate or you receive a discounted loan that is when an Awesome Mortgage Broker negotiates a percentage off the market rate for the life of the loan. You could also opt to extend you loan repayments a little longer bringing the actual repayments down. Advantage 2: The Total Interest Paid On Your Home Loan Could Be Reduced. While it depends on the loan terms of the lender, even with the possible expenses of refinancing, with the reduced interest rate it is still possible for you to be paying less altogether on your mortgage. Importantly your mortgage broker should guarantee that you have thorough calculations the costs of refinancing to ensure the savings you make out ways the potential costs. You should also ask your Awesome Mortgage Broker if any lenders will refund any of these costs. Advantage 3: You Can Pay Your Home Loan Off Quicker. If you have ended up in a situation where you are making significantly more income than you were when you first purchased your home you may wish to renegotiate the loan term or access a professional package to pay the loan sooner. Making additional payments off your loan is not always permitted; check your some loan contracts to see if this is your situation. Some loans contracts also change the repayments annually to ensure the loan runs the full 30 years. If this is you circumstance, more reason to start considering refinancing to a lender who will allow additional repayments. In some instances, it is worth considering looking at a shortened term to ensure the loan is paid off faster. Advantage 4: Your Better Credit Could Qualify You For Lower Interest Rates. If you have a better credit rating now than when you purchased your home it is highly possible that the interest rate on your loan is significantly higher than some of the current rates. It would be worth your while to speak to an Awesome Mortgage Broker to find out where your credit rating is today. Homeowners who have built up and improved their credit rating since purchasing their home can often take advantage of the most competitive rates out there. A better credit rating equals better interest rates, therefore, lower repayments. The major advantage for many who refinance is accessing of possible equity that has accrued since purchasing your home. With the rise in the value of property prices in today’s market, this is something worth considering. The access to equity is an excellent way to complete those renovations that you have been dreaming about while watching the reality shows. Another way you might use the equity; which many of Awesome Lending Solutions clients do; is to start building your property portfolio by using the equity as a deposit for the next investment property. The interest rate on your mortgage is one of the lowest available. By consolidating higher interest loans like credit cards and car loans, you can save yourself thousands in interest. Ask your Awesome Mortgage Broker for a split home loan with the same condition but with the lower rates and you could be paying off that debt before you know it.